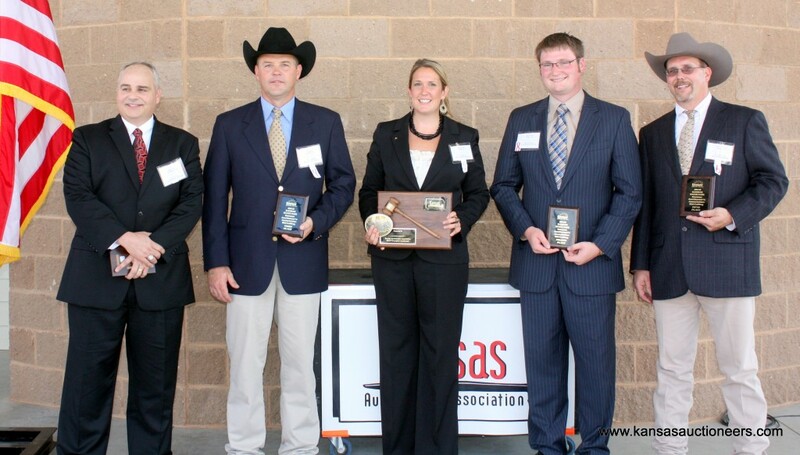 The Kansas Auctioneers Association conducted the 2010 Kansas Auctioneer Competition at the Kansas State Fair on September 15, 2010. The competition was tough and the bidding was rapid. The results were Megan McCurdy, Champion; Shawn Terrel – 1st; Ed Dewey – 2nd; Justin Schultis – 3rd; Tom Lindsay, Jr. – 4th.